Some residents of Kings County, California are waiting with trepidation for the June 6, 2013 California High-Speed Rail Authority board meeting. Farmers will finally know which fields the bullet train rail line will bisect. And residents will know which buildings the High-Speed Rail Authority will demolish to make way for the rail line, adjacent support infrastructure, and elevated embankments for road crossings. 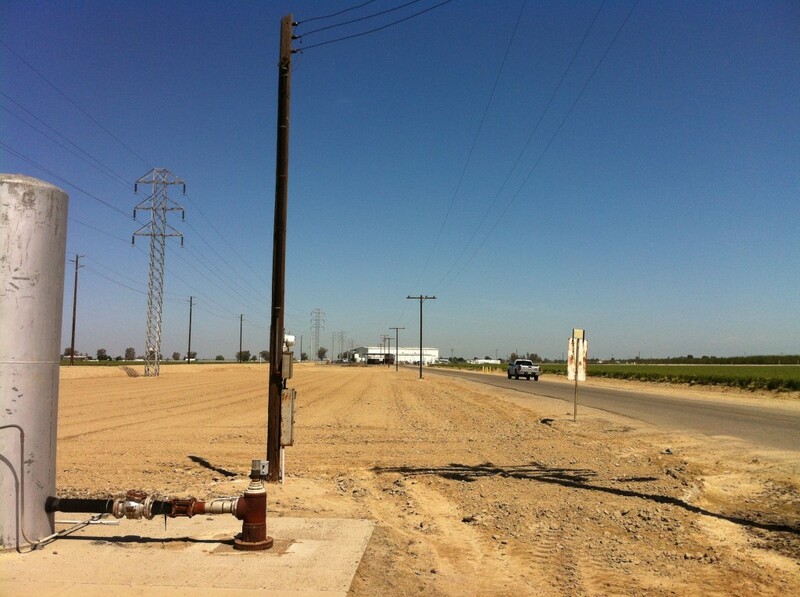 Baker Commodities is directly in the proposed path of the California High-Speed Rail line. One Kings County structure targeted for demolition has special economic significance, so much so that it’s hard to believe the California High-Speed Rail Authority isn’t conspiring to destroy the building as part of a grand plan to elevate California as the zenith of enlightened civilization. Why Is This Obscure Facility So Important? 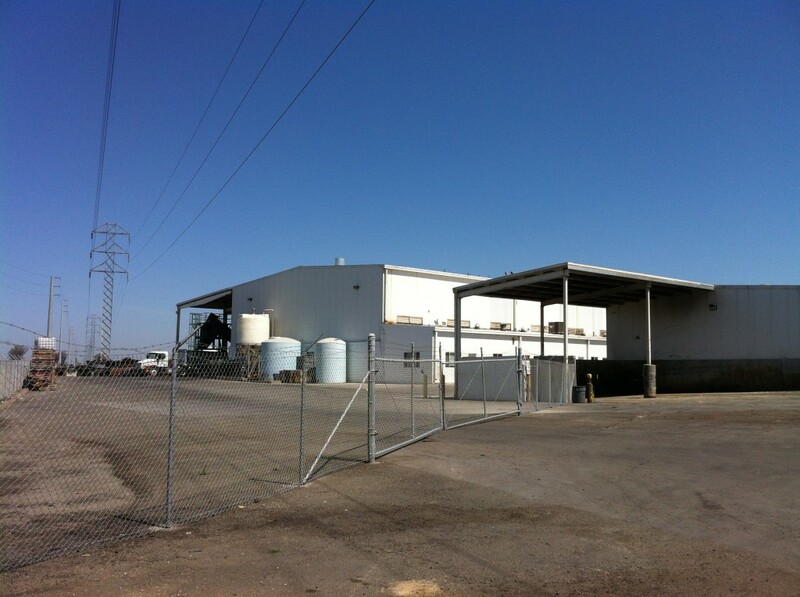 The Baker Commodities facility in Hanford is one of three Central Valley animal rendering plants – a commercial response to the reality that all livestock must eventually die. Dairies are required to send their carcasses to a licensed rendering plant (except in emergency situations) as a preferable alternative to burying, incinerating, or composting the dead animals. They pay a waste disposal fee. Without companies like Baker Commodities providing rendering services, America’s landfills would be full within four years. For each metric ton of CO2 produced by operating rendering plants, 7.19 metric tons of CO2 are removed from the environment. If not rendered, these materials would be a potential source of greenhouse gases such as CO2 and methane. If not for rendering in North America, billions of pounds of biological materials would be land filled, buried, or inappropriately dumped releasing vast amounts of carbon dioxide, ammonia, and other harmful compounds into our air and water supply. When rendered, these products are dried, stabilized, and recycled for feed and energy and other industrial uses. The rendering process provides essential services that protect humans and animals from disease while promoting a healthy environment. 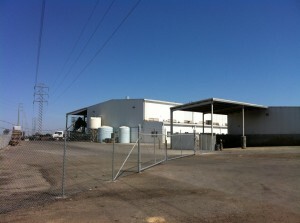 The Baker Commodities facility is an essential part of the dairy industry in the lower San Joaquin Valley. “Special consideration is required” in dealing with it, according to the California High-Speed Rail Authority’s July 2012 Draft Environmental Impact Report/Environmental Impact Statement. This report states bluntly that the facility is “the only one of its kind in the area, and is critical to the economic well-being of local dairy and livestock operations” and is “unique to the Region and all the local dairy and livestock facilities depend on the services it provides.” Letters from Kings County officials express grave concern about the economic impact of demolishing the facility. 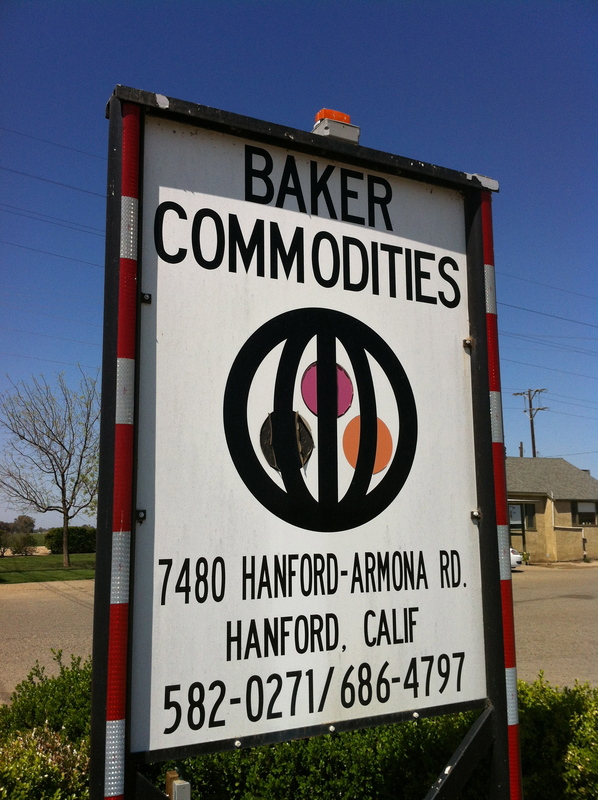 If the California High-Speed Rail Authority demolished the Baker Commodities rendering plant, presumably dairies would have to bury the carcasses because of the artificially-created “emergency” situation or transport them to another company’s rendering facility in Fresno. This logistical complication could exacerbate the current decline of the Kings County dairy industry. Ironically, transporting the carcasses north to Fresno instead of to the local Hanford plant would also increase greenhouse gas emissions from trucks (operated by “dead animal haulers” licensed by the state under Food and Agricultural Code Section 19320-10322). Demolishing the Facility: A Collateral Triumph for Progressives? 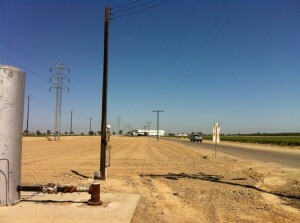 Local opponents of the proposed “eastern route” of the California High-Speed Rail contend that Baker Commodities would have great difficulty in overcoming obstacles such as the California Environmental Quality Act (CEQA) to get permits to build and operate a new rendering facility in another location. Among many vulnerabilities under CEQA would be the need for Baker Commodities to create new lagoons to collect discharged brine waste. In addition to fending off the typical CEQA opposition for a new proposed plant from environmental groups and neighboring residents and businesses, Baker Commodities would have to deal with exploitative CEQA objections from animal rights groups and other critics of the dairy industry intent on inflicting a damaging blow to industry logistics. 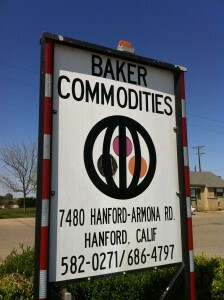 Baker Commodities in Hanford: a demolition target for the California High-Speed Rail Authority. Small but passionate organizations regard dairy farms as inhumane, dairy cows as a cause of global warming and resource depletion, and dairy consumption as hazardous to human health. Dairy consumption per person has declined 30% in the United States since 1975, and the dairy industry in the San Joaquin Valley is in obvious decline. If the California High-Speed Rail Authority demolishes the Hanford rendering plant, it will further reduce supply and thereby reduce demand (as a result of increased costs from greater scarcity). At the very least, it would encourage more dairies to leave California. 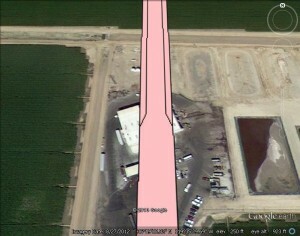 To understand the potential public sensitivity of this issue, note that in April 2012 the U.S. Department of Agriculture found a dairy cow carcass with “mad cow disease” that a farm had dropped off at the Baker Commodities rendering plant in Hanford. Media reports about this discovery set off the usual claims and counterclaims from government agencies and interest groups about mad cow disease and the risks of humans getting it. An August 2011 letter from Kings County to the Federal Railroad Administration claimed that an official of the California High-Speed Rail Authority had offered to pay the county to expedite permit approval. Apparently the California High-Speed Rail Authority was unaware of the effectiveness and skill of lawyers who specialize in exploiting CEQA to block projects. Does the California High-Speed Rail Authority Really Care All That Much? Imagine a progressive bullet train sailing through pristine air where this uncivilized rendering plant now stands. In June 2011, the Hanford Sentinel newspaper reported that representatives of the California High-Speed Rail Authority were trying to work out an arrangement with Baker Commodities, apparently involving the relocation of the facility to other property owned by the company. But in April 2012, a representative of Baker Commodities testified at the state legislature in support of a bill for voters to reconsider the California High-Speed Rail project with another state ballot proposition. Obviously the negotiations were not fruitful. A question looming over all of this: why does the path of the California High-Speed Rail just happen to directly cross through the middle of the Baker Commodities facility? One might assume that the chosen route is simply based on technical decisions by designers and engineers, combined with the apathy of politicians. But the California High-Speed Rail Authority routinely makes decisions without public deliberation, public trust in the project management is low, and a cynic might conclude that nothing in politics is truly accidental. If the board of the California High-Speed Rail Authority votes on June 6 for an alignment that rolls over the Baker Commodities rendering plant, the board needs to explain why it is necessary and what steps it will take to avoid harming the supply and demand for dairy products in Kings County. Otherwise, people will be justified in researching sinister conspiracy theories. And ultimately opponents of the eastern rail route will have an excellent basis for objecting under CEQA to the California High-Speed Rail Authority’s Final Environmental Impact Report. It isn’t just Progressives that can play the CEQA game! Proposed eastern path of California High-Speed Rail through part of Kings County. California High-Speed Rail Creates Money-Making Opportunity in San Joaquin Valley: Apply for YOUR Dead Animal Hauler License Here. This entry was posted on Tuesday, June 4th, 2013 at 12:00 am and is filed under Blog Posts.